Everton and Rooney: What happens if the hero is a busted flush after all? 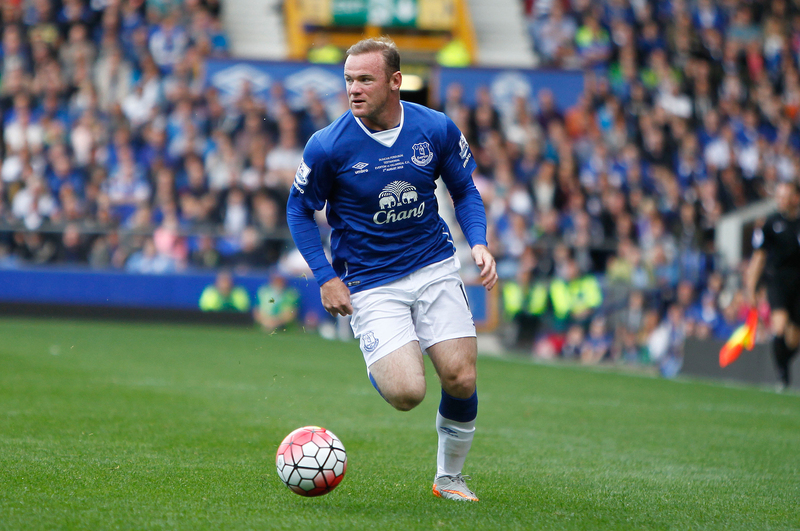 Leave a Comment on Everton and Rooney: What happens if the hero is a busted flush after all? ROONEY for Romelu? Seven years difference. A player in the ascendancy, a player on his way down. Good business for Everton? Certainly, with a £ 10m golden handshake, this is good business for Rooney. What makes people think that Wayne Rooney will enjoy an Indian Summer at his former club? For the past two years, Croxteth’s favourite son has been winding down, unable to command a regular first team place at a marginally above-average Manchester United side and he’s also been discarded by England. Rooney is no Zlatan when it comes to keeping fit and agile and he’s not got the durability of a John Terry. Everton may soon find out that they have committed to two years in the decline of a once great player – one that now lacks the energy and speed to compete as a striker in the Premier League. It does not say much for Everton that they have turned to Rooney. With so much cash from the sale of Lukaku, surely they could do better than try to fan the flames of one of their best home-grown products? Was United’s one-time talisman effectively used to secure the Belgian striker? Certainly, there was not a queue of European clubs waiting to sign Rooney this summer, although he could have gone to the US and China and picked up more money. It was always on the cards that he would return to Everton – especially as Rooney has never discarded his Everton pyjamas. But where will he play? Everton have signed the impressive Davy Klassen from Ajax and they have the likes of Ross Barkley in their ranks already. Rooney may have to go deep to find a place in the Everton team. It’s strange that Ronald Koeman should want to bring the 31 year-old back to the club, aside from the positive PR that it will generate in the short-term. If Rooney feels his United career was over nine months ago, he cannot be serous in believing that he can reignite his World Cup hopes for 2018 at Everton. He says he is at his best when playing, but the reason he wasn’t getting a run-out was not because Jose Mourinho didn’t like him (he wanted to sign him on more than one occasion), it was because he was no longer the player he once was. It’s hard to take, but in all probability, Rooney at Everton is not going to make headlines after he runs out for his first game against Arsenal. Everton’s management will be anxiously monitoring the situation. He’s on a two-year deal, so they need it to work. And Rooney will, equally, be committed to being successful at Goodison in order to bow out on a high. He could make the best possible exit by having a couple of decent campaigns helping Everton’s younger players fulfil their potential. This will be worth watching in the early weeks of 2017-18 to see how it all goes – the spotlight will be firmly focused on Mr R.